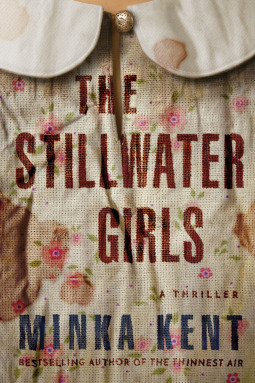 A mother and her three daughters live totally off the grid in the Stillwater forest. A place no one wants to go. The girls, Wren, Sage and Evie know nothing beyond their own one room cabin and the mysterious supply man who their mother meets in the forest. The world is dark and dangerous they are told. When Evie gets sick her mother leaves with to get help. They never return. Months go by and Wren is sure they will die and then a mysterious man shows up asking questions and the girls take a chance and escape into the forest. What they will find on the other side will rock their lives. The story is told from multiple view points and I was hooked from the first chapter! The author has a very engaging style and I was reading as fast as I could to see what happened. And at the end is when it all fell apart for me. It was so disappointing. I can suspend belief on a lot of things but this was just so real and raw and gritty up until the end that when the end came I couldn’t make it sync with the rest of the book. Solid 3 stars on this one. I just wanted a believable one! You just can’t keep kids you find wandering around. No.